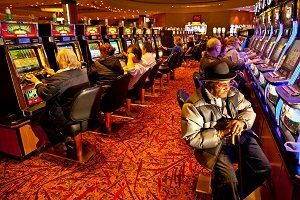 Home > Casino news > Articles > How Long Does the Casino Exist? It is amazing as to how the casino has been around for so long. Many people wonder how long is casino in terms of how much time such a type of place has been around for. You might be surprised at how prominent such a place has been throughout much of society over the years. This includes how many different points relating to casino operations have changed over time and what makes such gaming activities commonplace around many parts of the world even as conflicts develop in the industry. It is believed that the casino has been around for as long as four thousand years. The earliest known instance of gambling can be traced back to around 2300 BC when the Chinese recorded such activities taking place. Over the years to concept of how long is casino has changed. The French are known to have created the first set of playing cards in the late fourteenth century, thus leading to some interesting developments over the years in terms of how games for casino use have changed. It would not be until 1638 when a place called the Ridotto was formed in Venice. This place was introduced as a means of allowing people to play games and gamble without bothering other people in the area. This was an interesting development that helped to inspire many modern day casinos in terms of offering games of chance. Over time such places would open in spots around the United States as a means of allowing for recreation. These first appeared in saloons around many parts of the country in the nineteenth century. These include places around New Orleans and San Francisco where more liberal attitudes allowed for such activities to take place. Roulette developed in Paris as a game where people could bet on how a ball lands on a certain spot on a wheel. The game had been refined a number of times to make it a more appealing option for casino use. Slot machines were also developed in the United States as a means of challenging people of all sorts. This offered a fun way for people to complete. Poker especially became a more popular game around much of the world. This came about as there was a desire to establish a new kind of game where people can bet on how cards are turned and what combinations they can find in a game. The development of casino games had been strong as more ways for betting money were developed. This was combined alongside other traditional options like with betting on different types of results in horse racing among other local events. But even with this, gambling soon became illegal throughout many countries as the twentieth century came about. It would take a great amount of effort for casinos to work as plenty of laws were established to keep them from operating. This often led to many different instances of games being left to the backrooms of many locations around the world. It is true that some casinos were open in parts of Europe but over time religious influences and concerns about behaviors at such casinos became real problems. It became evident that the casino industry was in real jeopardy. But there was one moment in which the casino industry grew. How Long is Casino Development in Nevada? The American state of Nevada was critical to how long is casino history. In particular, Nevada became one of the first parts of the United States to legalize gambling. This came along a few decades after most forms of gambling were declared to be illegal around the country. Individual states were given to right to allow casino gambling as they see fit. Nevada was the first state to do this as in 1931 the state legalized wide-open gambling activities. This was especially to drum up demand for Nevada tourism and to get the state’s economy to grow over time. The goal was especially to keep criminal activities from developing around the state. It had been long believed that the ban on gambling made it easier for many people to engage in illegal actions around the state. By opening up legal gambling, Nevada set a trend in terms of allowing gambling to be interesting again. Over time various casinos started up all around the Silver State. These included many in Las Vegas, a city where casino culture continues to thrive and grow to this day. But even with this, there are still issues over gambling in the United States. The rules for gambling around the country have been rather varied as some places are more likely to accept gambling activities than others. It is still a necessity for people to look at how gambling is legal in certain areas as well as what types of games are offered in those places. Online casinos are often for as long as anyone wants to play with them. These places have started to pop up around the world and became especially common in the late 1990s. These include spots that allow people to bet real money on a variety of games. The opportunities people have for betting on such games have expanded over the years to include many exciting choices. But as popular as these places for gaming are, they are also spots where the options for playing are conflicting. That is, there are some places where casinos are not allowed to take players in. Also, some casinos might block people from certain countries altogether. The rules for how these places are organized are rather murky and can certainly be conflicting. The world of casino gaming has been evolving for a long time. It is very intriguing to see how casino gaming has changed and what it has to offer in some many ways based on what is open all around.